While these whimsical raptors are sure to turn heads, they're designed to be more than decorative. 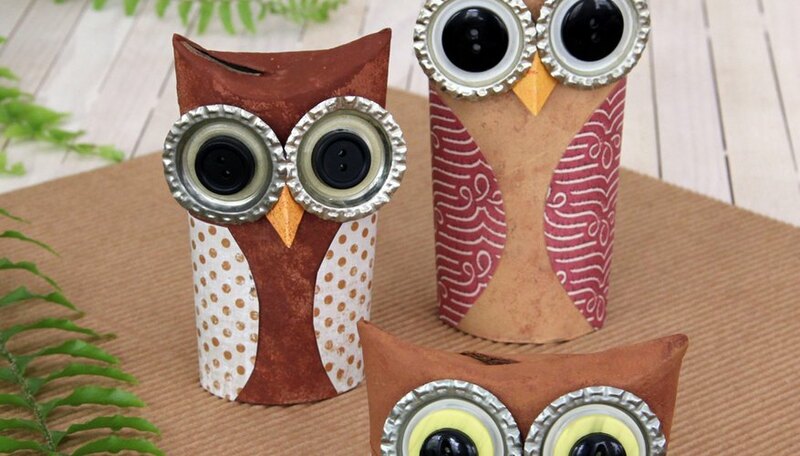 Created from assorted recyclables, they also serve as a friendly reminder to go green. 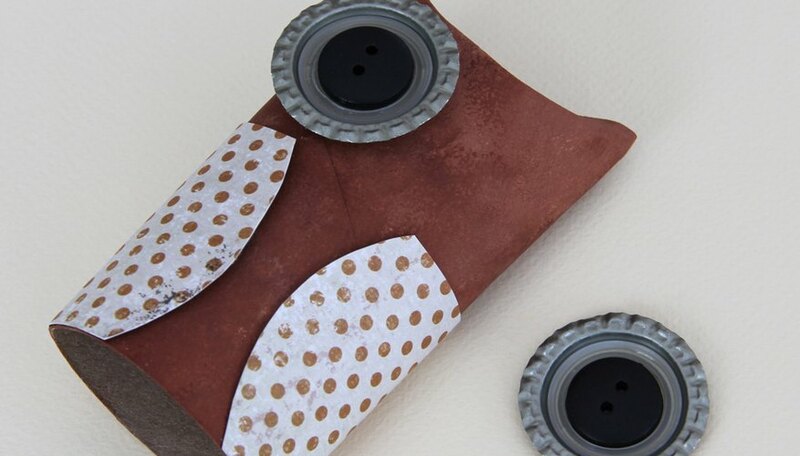 In order to create these adorable creatures, you'll need: scissors, cardboard tissue or paper towel tube, brown craft paint, paper plate, small piece of sponge, scraps of orange and brown craft paper (solid or patterned), 2 black buttons, 2 bottle caps tapped flat with a hammer, glue dots and a glue stick. Trim the cardboard tube to a height you like (the one shown here is 4 inches tall). Fold down the upper front and back edges so that the tube top resembles ear tufts. 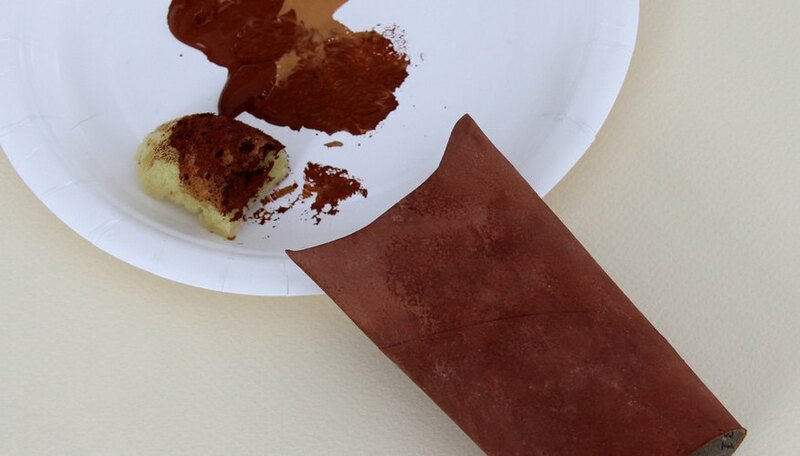 Then, sponge-paint the tube brown. 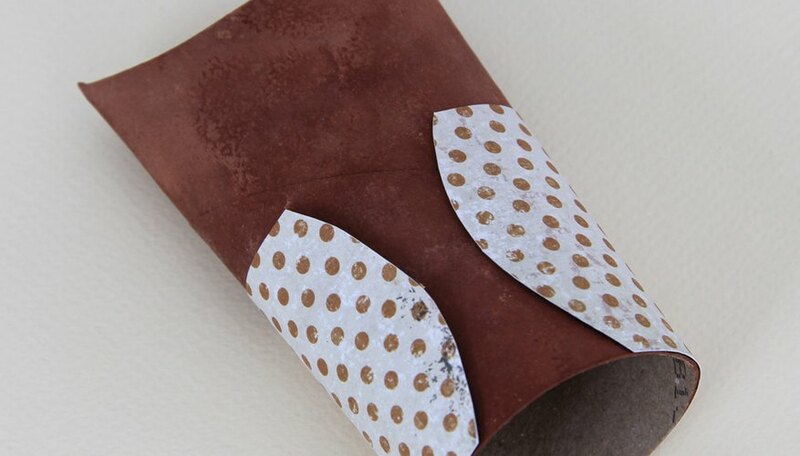 If you like, use two different shades of brown to create a mottled effect. 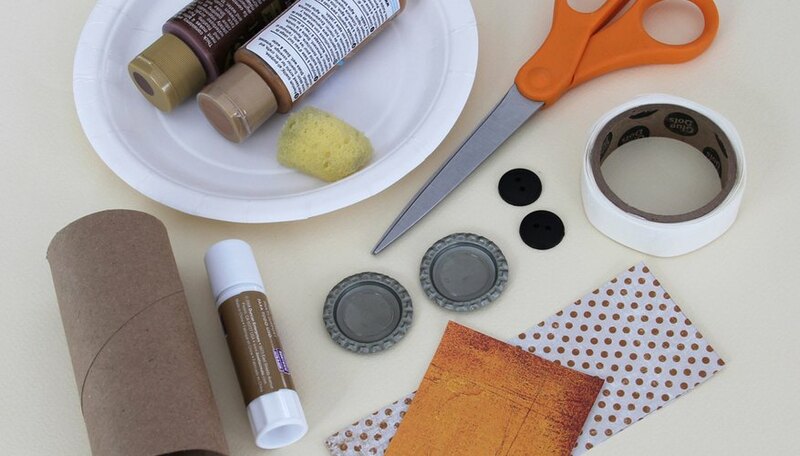 Create owl eyes by using glue dots to stick a button to the center of each bottle cap. Next, cut a small diamond-shape beak from orange craft paper. For the owl’s wings, cut a strip of brown craft paper that’s nearly long enough to wrap around the lower half to two-thirds of the tube. Trim the short ends to resemble curved wing edges. Spread glue on the unprinted side of the wings paper with a glue stick. Wrap the wings around the lower portion of the tube so that the curved edges are in front. Use glue dots to stick the eyes to the face of the tube, positioning them just above the wings. For the finishing touch, fold the beak in half vertically to give it a little more dimension. 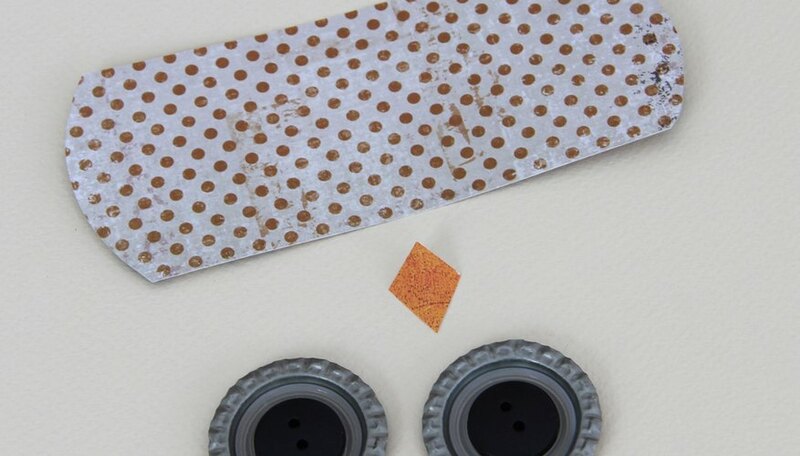 Use a glue dot to attach it to the tube, tucking the upper portion behind the eyes.